Impel™ Copper Cable Backplane (CCB) Solution – This high-speed cabled backplane solution delivers data rates of more than 40 Gbps and is for use in data centers, networking, telecom, and high-performance computing applications. 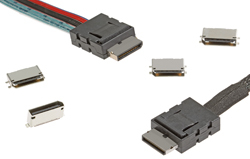 The Impel CCB solution uses high-speed twinax cable and provides design engineers with the flexibility needed to develop cabled solutions for conventional cabled backplane, mid-plane, or custom cable tray applications. It integrates high speed and high density, offering up to 80 differential pairs/inch. The CCB solution has insertion loss of just 0.16dB/in. 100 Gbps CWDM4/CLR4 QSFP28 Transceivers – Molex and Oplink Communications, LLC, a Molex company, will show-case portfolio of 100 Gbps optical transceiver solutions and demonstrate latest CWDM4/CLR4 QSFP28 for large scale data center applications including InfiniBand and Ethernet. Nano-Pitch I/O™ Interconnect System – Designed for next-generation, high-performance internal and external applications for anything from handheld devices up high performance storage systems. This interconnect system is capable of 25 Gbps per lane to satisfy PCI Express Gen 3 and SAS-4 interface standards. The small form factor enables more effective utilization of host card real estate and fits into places not possible with previous connector generations. 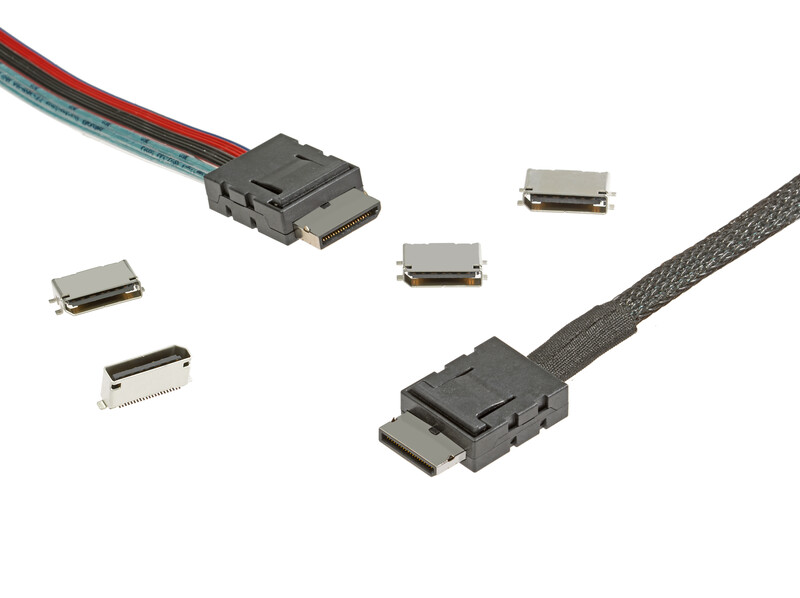 The cable design of the Nano-Pitch I/O Interconnect System accommodates ribbon cables for improved cable management and better cooling performance within enclosures. The pin pattern provides the flexibility needed to implement 4x, 5x or 6x high-speed lanes, providing bandwidth up to 150 Gbps.